Dr. Radhouane Kamoune is the CEO of the ISL-Group, IQP, a full-service logistics provider across the industrial, media and automotive sectors. Covering the entire supply chain from inception to distribution, the firm remains dedicated to environmental and healthcare as it sets up international intelligent industrial systems and processes. As CEO, Dr. Kamoune specializes in healthcare, pest control international trade and development, and strategic planning and analysis. After earning his informatics degree in Germany, the doctor spent more than 20 years in Health care research and service. He holds the patent to an insecticidal aerosol and many other patents for Malaria prevention, with his company ht-biocare (htbc)ag in Switzerland. Dr. Kamoune gave many bio solutions in medicine. He is the inventor of 12 Patents in the company. Dr. Kamoune is only the CEO and owner of the company Health Innovation care in Germany. But, he is also the owner of WICF: World Innovation care foundation. Dr. Kamoune worked also for water solutions, waist control and building and energy solutions worldwide. He has in those domains many scientific works and companies in Middle east and Europe. Dr. Kamoune resides in Heidelberg, Germany, and speaks fluent English, German, French and Arabic. Outside of running ISL-Group, he is active with the Centers for Disease Control and Prevention, UNICEF and the Committee Encouraging Corporate Philanthropy. 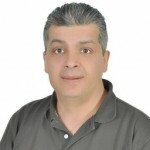 International Society of Business Leaders Member Radhouane Kamoune, MD can be found on the Society Directory, where he is looking forward to networking with you.